Update: Live images of accessorised 2019 Maruti WagonR from the media drive added in the image gallery at the end of the story. Maruti Suzuki offers a wide range of accessories for the 2019 WagonR to enhance its styling, comfort and safety aspects. The accessories include special styling packages as well. The 2019 Maruti WagonR is available with 1.0- and 1.2-litre petrol engines and 5-speed manual and automated manual transmissions. 2019 Maruti WagonR customers can select from three different styling packages: Robust, Playtime and Casa. The Robust package adds a dual-tone front extender, rear extender and side underbody spoiler, black wheel arch cladding and body side moulding, garnish finish-door visors and front grille, and number plate garnish. The interior add-ons include stainless steel door sills, blue designer mats, styling kit in Silver Prism and victory lining finish seat cover and wheel cover. The Playtime package gives the “Big New WagonR” a funky styling. It includes orange front and rear extenders, front bumper garnish, upper grille garnish, fog lamp garnish, tail lamp garnish backdoor garnish, door visors with orange insert and number plate garnish. Inside, the hatchback gains stainless steel door sills, Sunset orange designer mats, tan finish seat covers and black steering wheel cover and tissue bottle. The Casa package includes front and rear bumper garnish, door visors, fog lamp garnish, front grille garnish, number plate garnish, Carpet mats, Casa stainless steel door sills, Boston Cherry styling kit, diamond cross finish seat covers and black tissue bottle. 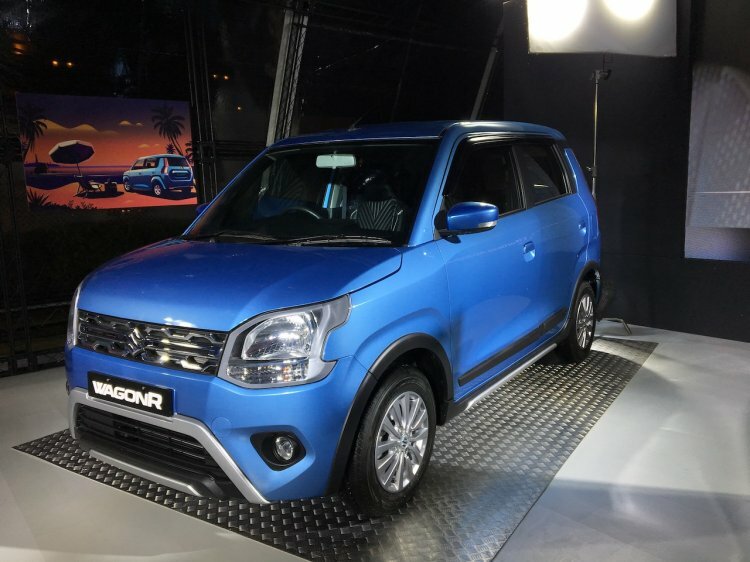 Prices of the 2019 Maruti WagonR range from INR 4.19-5.69 lakh (ex-showroom Delhi). The styling packages are available for only the Vxi and Zxi grades (MT/AGS). Silver or black wheel covers, alloy wheels, body side moulding, fog lamp garnish, back door garnish, A-pillar black tape, rear upper spoiler, fabric/PU + Fabric/PU/Premium PU seat covers in multiple designs, interior trim and many more accessories are separately available. Safety accessories for the 2019 Maruti WagonR include extreme vision bulb and a reverse parking camera.